The Proton-Medium would be the first of the two new variants aimed at expanding the capability of Russia's commercial workhorse toward a lighter payload range. GKNPTs Khrunichev, the prime developer of the Proton rocket, officially unveiled the Proton-Medium architecture on Sept. 13, 2016. 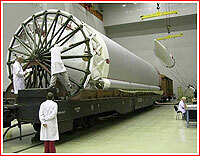 The modifications centered around the removal of the second stage from the standard Proton-M configuration. To compensate for the absence of the second-stage booster, the first stage of the rocket, including its core tank and six strap-on tanks was to be stretched to accommodate 35 tons of extra propellant. At the same time, the former third stage of the standard Proton would be also stretched to play the role of the second stage in the Proton-Medium. This modified booster would be able to carry 22 tons of additional propellant. A new interstage adapter was to be developed to serve as an interface between the first and the second stage. The new structure would have openings to enable the ignition of four vernier thrusters of the RD-0214 steering engine, shortly before the separation of the first stage. 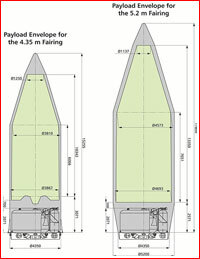 At separation, solid motors mounted on the exterior of the adapter will fire against the direction of the flight to ensure clean jettisoning of the first stage along with the adapter. Using the standard Briz-M space tug as its third stage, the Proton-Medium could deliver from 5.0 to 5.7 tons to the geostationary transfer orbit, GTO, on the condition that the satellite would use its own propulsion system to add from 1,500 to 1,800 meters per second in velocity. The same rocket will also be able to insert 2.4 tons of payload directly into the proper geostationary orbit, GSO, without additional maneuvers. According to plans announced in September 2016, the design of the Proton-Medium rocket was to be under review for the rest of the year, anticipating the full-scale development during 2017. The production of first components for the rocket was penciled for the middle of the same year. If the developer can sustain this very optimistic schedule, Proton-Medium would be ready for the first flight in the fourth quarter of 2018. To launch the modified rocket from Baikonur's Pad 24 at Site 81, the facility would need its own upgrades to accommodate boosters with different dimensions. 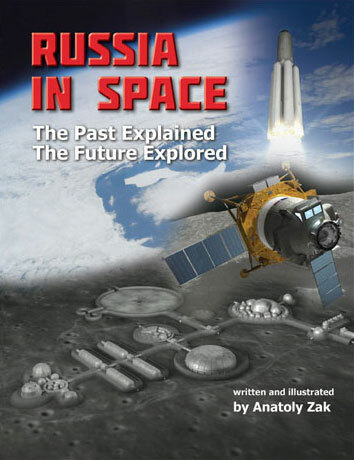 There were also doubts whether existing railway trailers for transporting components of the Proton rocket to Baikonur could be easily modified to fit longer propellant tanks of the first stage. 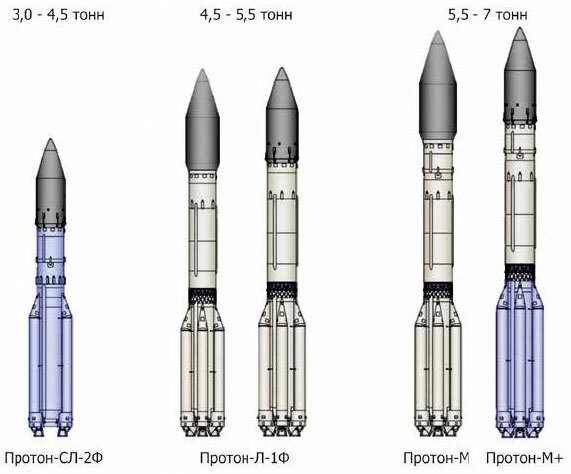 If ever built, the Proton-Medium might remain operational until at least the mid-2020s, when it could be replaced by a new-generation launcher, such as Sunkar or Angara-3. 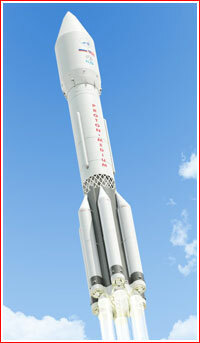 Given current uncertainty around the production rate and the capabilities of the Angara, all new members of the Proton family should be available to operate for as long as necessary to provide smooth transition between the two generations of rockets and to enable the Russian rocket fleet to stay competitive on the international commercial market. On October 12, 2016, just a month after the design of the Proton-Medium had been unveiled, the International Launch Services, ILS, announced an agreement with the European communications consortium Eutelsat to "baseline" its unidentified payload with the Proton-Medium variant launching in 2019 or 2020. The deal was a part of a wider multi-launch agreement between the two companies, which was made public in October of 2015. 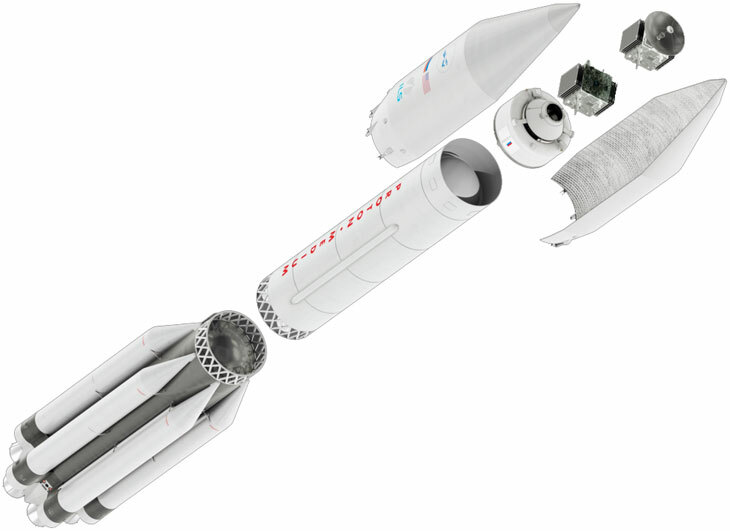 In 2017, the plan to build a lighter version of the Proton rocket saw a major simplification, in an effort to keep cost of upgrades down and to save development time. The latest architecture unveiled at the beginning of March was limited to the removal of the third stage, instead of the much-larger booster of the second stage, which was a candidate for elimination in the original proposal for the Proton-Medium design. Moreover, the Proton-Light concept, which had been previously proposed for development in parallel with the Proton-Medium, now appeared to be abandoned. The 2017 incarnation of the Proton-Medium design kept the rest of the basic Proton-M architecture largely unchanged. In order to integrate the payload section of the Proton-Medium rocket with the second stage, it would need a modified forward adapter, which previously interfaced with the now-absent third stage. On the Proton-Medium, the equipment section, housing avionics for guidance, navigation and flight control of the rocket, will migrate from the eliminated third stage to the top of the second stage. When required, the Proton-Medium could also feature the newly proposed enlarged fairing with a diameter of five meters, which was promised to become available for the Proton-M and Proton-M-Plus variants in the first quarter of 2020. 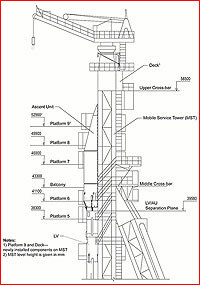 Unlike the previous Proton-Medium design, the latest incarnation will require only minimum upgrades to the service tower that provides access to the rocket on the launch pad. This movable structure is now expected to receive a new access platform, which will likely be used by personnel to connect thermal-conditioning hoses to the tip of the payload fairing on the shorter rocket, and a new deck on the opposite side of the tower. All other modifications to the launch and processing infrastructure of the Proton rocket are expected to be minor. 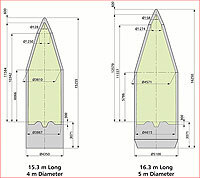 However, in the long run, the revised design of the Proton-Medium could be more expensive than the originally proposed architecture, because of the higher cost of the second stage, which is being retained under the new plan, compared to a much smaller third stage to be eliminated. 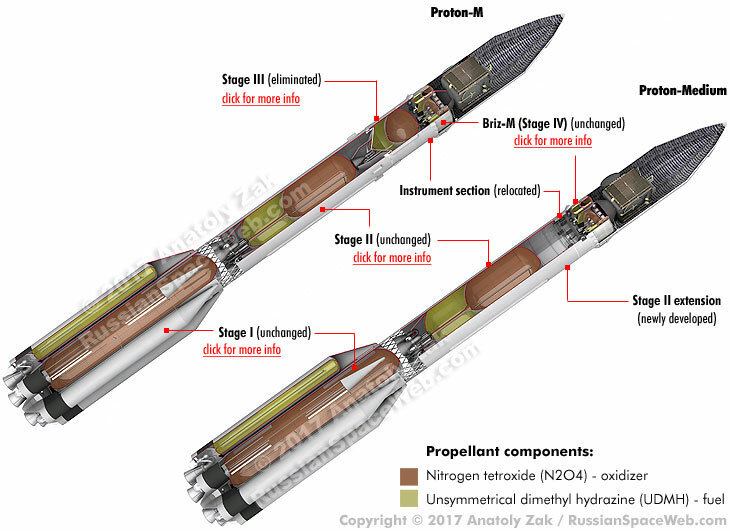 The launch profile proposed for the Proton-Medium rocket will remain largely unchanged, with the first stage separating two minutes into the flight and falling some 500 kilometers downrange from Baikonur in Kazakhstan. The payload fairing would split into two halves and jettison 4.3 minutes after launch to fall in Southern Russia, 1,612 kilometers from Baikonur. In the absence of the third stage, the second stage will burn until 5.5 minutes in flight and after its separation at a near-orbital velocity, it will reenter the atmosphere and crash in the Pacific Ocean. In the meantime, the Briz-M upper stage will take over the powered ascent, performing a routine five-burn flight scenario to deliver its payload into the geostationary transfer orbit. The payload capabilities announced for the latest incarnation of the Proton-Medium design remained the same as they had been originally projected in 2016. The Proton-Medium also remained on schedule for its first launch at the end of 2018, its developers said. On March 14, 2018, the International Launch Services, ILS, released yet another incarnation of the Proton-Medium variant. The most notable change from the perviously advertised designs was a wider and longer payload fairing to accommodate larger satellites coming to the market. Based on the wording in the official press-release, it appeared that the first mission of the Proton-Medium version had now slipped by one year from the original launch date at the end of 2018. 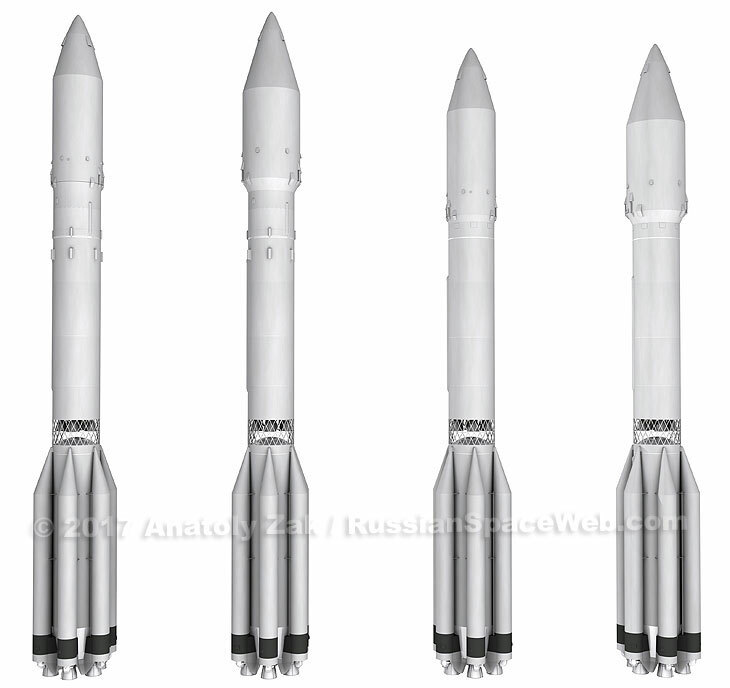 According to ILS, Proton-Medium vehicles won multiple launch assignments which would use both a standard payload fairing with a diameter of 4.35 meters and a new fairing 5.2 meters wide. All missions would originate from Pad 24 located at Site 81 in Baikonur beginning at the end of 2019, ILS said. Somewhat unsually for such an announcement, the company did not name customers who had agreed to use the rocket. Industry insiders speculated that it could mean the shift of already negotiated potential launches within the previous multi-launch agreements, MLAs, from the regular Proton-M to the Proton-Medium vehicle. A potential decision to retire the Proton family earlier than previously planned could kill the hopes for building a lighter version of the Proton-M rocket intended to make the Proton family more competitive on the international market. At the end of May 2018, the Interfax news agency reported that GKNPTs Khrunichev had given up its effort to develop "light" and "medium" versions of the vehicle, due to financial problems. Although Roskosmos has not confirmed these reports, and the International Launch Services, ILS, which markets the rocket, was quoted vehemently denying the cancellation of the Proton-Medium, multiple industry sources told RussianSpaceWeb.com that while the Proton's upgrades were not officially cancelled, the project had been de facto frozen due to lack of money. 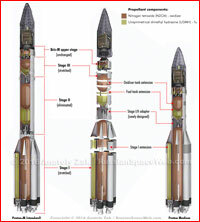 To build the Proton-Medium version of the rocket, GKNPTs Khrunichev needed to redesign and re-test the structure of the transfer compartment (connecting the second stage and the Briz-M space tug) and to manufacture several other components. However, while GKNPTs Khrunichev's subcontractors demanded advance payments for the work, the company was not able to raise enough money for the project. Roskosmos State Corporation refused to fund Proton-Medium, while all the attempts to find private investors, who would pay for the upgrades in advance, had failed as of the end of June 2018, industry sources said. On Aug. 22, 2018, RIA Novosti news agency quoted head of GKNPTs Khrunichev Aleksei Varochko as saying that the development of the Proton-Light variant would not be economically justifiable due to high cost of re-building the launch infrastructure for the vehicle. Varochko did not specifically mention the Proton-Medium, but around the same time, all references to future Proton upgrades seemingly disappeared from the web site of the International Launch Services, which had previously marketed lighter versions of the Proton rocket to commercial customers outside Russia. Various upgrades of the Proton fleet considered at GKNPTs Khrunichev circa 2017.